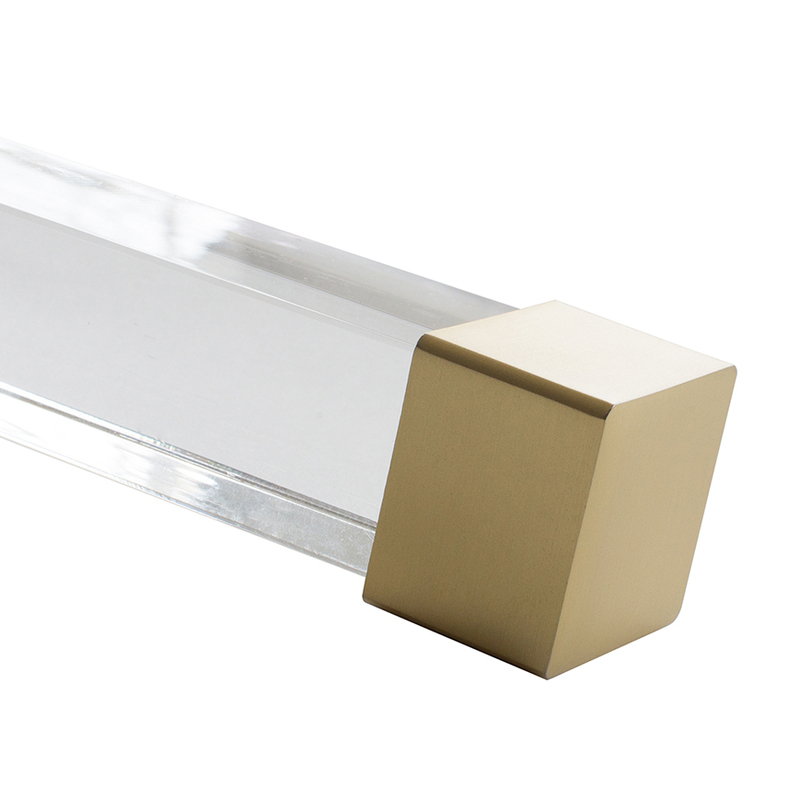 Turn windows from drab to fab with this glamorous square lucite hardware collection. It makes a statement through linear lines, translucent poles and modern metal accessories in your choice of polished nickel, brushed nickel or satin gold – a winning combination creating luxurious interiors. The 1 1/2" cube-like pole presents high-end construction of 35mm thick heavy-gauge lucite to provide the durability needed to support heavy draperies and withstand daily use. Poles can be mounted to a wall or ceiling and completed with a simple metal endcap. Matching rectangular rings are artful in their own right, drawing the eye up while drawing draperies smoothly across each pole without scratches. A truly functional and handsome collection!